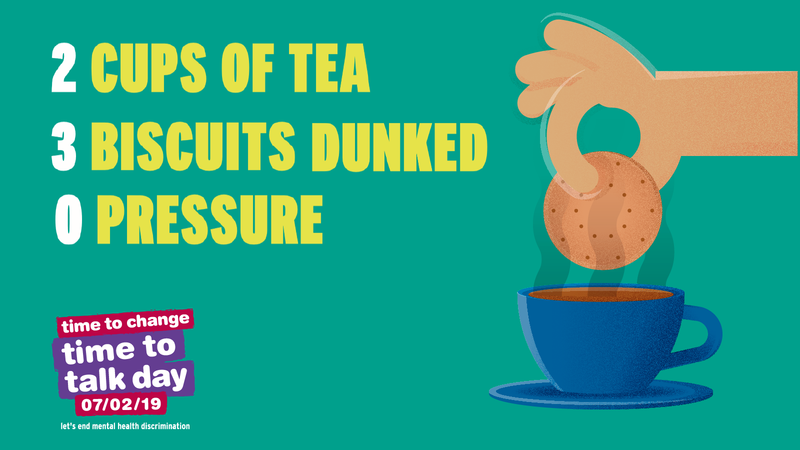 Welcome to our awareness campaign with McDonald’s in Rugby, which launched on #TimeToTalk day, 7 Feb 2019, and will run in all three McDonald’s Restaurants in Rugby until Sunday, 17 Feb (you can see photos from the launch here). Our goal is to get everyone talking about mental health, and to highlight local helplines and other resources available to all in Rugby. 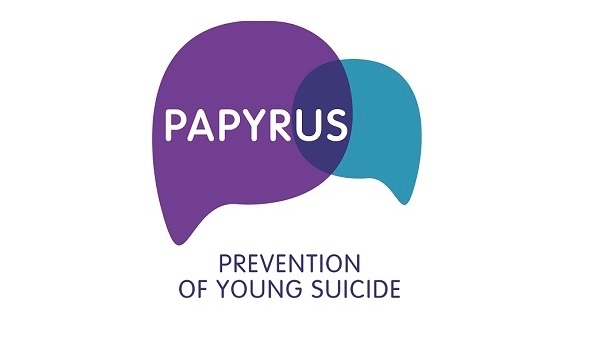 Immediately below this message, there is information about Samaritans and PAPYRUS; go there if you are feeling suicidal or worried about someone else. Below the red divider, there are links to many more places and organisations that can help. Click the links and logos to find out more. Learn for yourself, and share with friends, family and colleagues too. Please let us have any feedback or comments about this page, or about our joint campaign with McDonald’s in Rugby by email to cafe@camgrant.org.uk or on Twitter at @CamMemorial. Thanks from all at Cameron Grant Memorial Trust! Feeling suicidal? Or know someone who might be? If you’re feeling like you want to die, it’s important to tell someone. Help and support are available right now if you need it. You don’t have to struggle with difficult feelings alone. Contact one of the organisations below now. Our son Cameron took his own life in 2014 at the age of 21. He didn’t seek help and no one – including us and his friends at Uni – knew that he was suffering from depression. Email coasters@camgrant.org.uk to request free Coasters customised with the help information most important for your community. 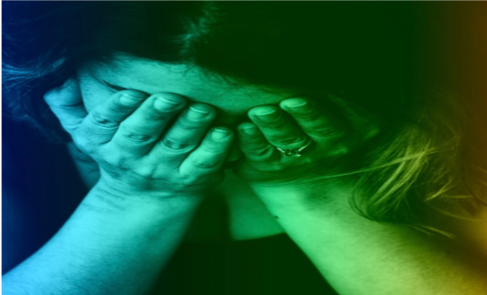 Rugby Wellbeing Hub, run by Coventry and Warwickshire Mind for Wellbeing for Warwickshire, offers free support, information and signposting to individuals aged 16 years and over looking for support or help to improve their mental health and wellbeing. Contact the Hub for opening hours and further details of what is available. 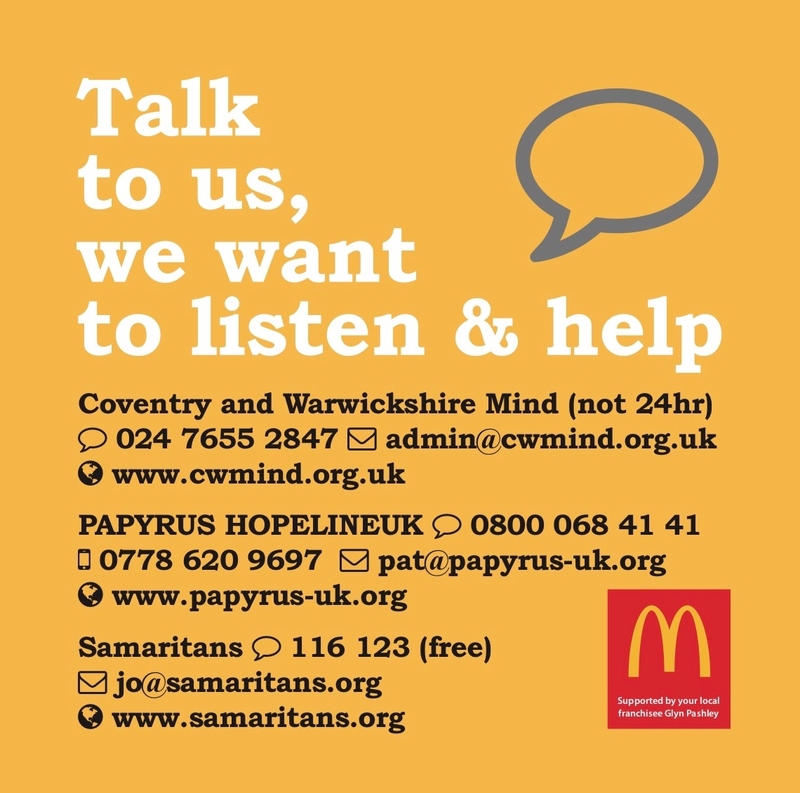 We are very grateful to Glyn Pashley, your local McDonald’s franchisee, and everyone at all three McDonald’s Restaurants in Rugby for their support in running this awareness campaign.